Bart Ebben is a specialist in Citroen car parts, also stocking loads of used car parts Citroën Saxo. Have a look at the parts in the warehouse yourself, or ask our sales staff for the part you need. With over 35 years of experience our salesmen can help you to find exactly the right Citroën Saxo used car parts for your car. There's a very wide range of parts to choose from, for the 1.0, 1.1, 1.4 petrol or 1.5 diesel standard models to a VTS or VTR. Our stock goes from an engine to a clutch assembly or to a rear bumper and from a brake calliper to an airbag. 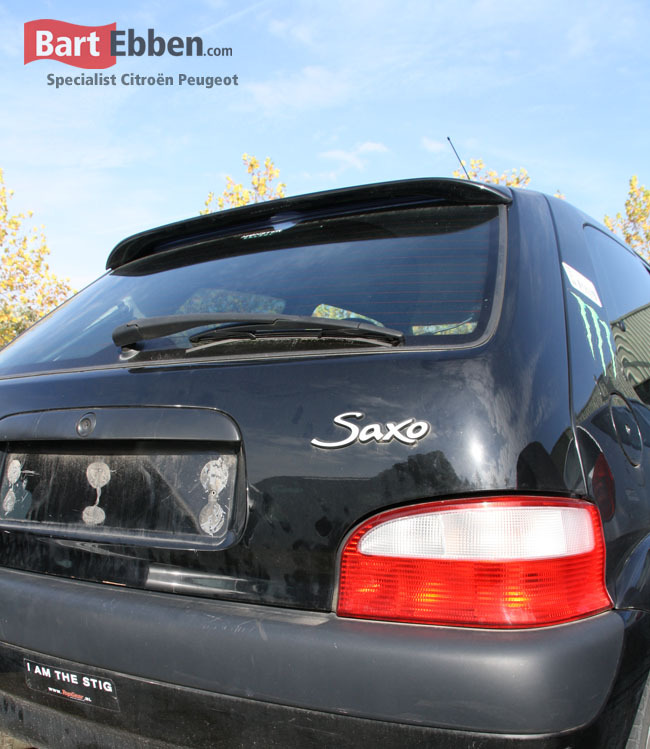 Parts are available from the front to the rear of the Saxo, just tell us what you are looking for. Each day many second hand car parts leave our company to be shipped to destinations worldwide. There's a lot of know-how on shipping Citroen Saxo spare parts around the world safely. Just contact our salesteam on all the details for your shipment.